[VOD] Lee Young Eun in "ShowBiz Extra"
of the “Her Choice: The Pill” event to promote the use of the birth-control pills. to aid the victims of Haiti Earthquake. saying that he saw Jisuk in this TV program aired on 5/8 (Saturday). and her mother Shim Jung Eun (심정은). Jisuk’s handsome appearance among 3 good-looking actors of the drama “OB & GYN”. Ahn Sun Young also shows a video containing Jisuk, Song Joong Gi, and Lee Young Eun. I logged into KBS to watch the show online. Jisuk praises ASY. We all know that Jisuk has very cativating Eye Expressions. 왕재석으로 여러분께 인사드리는 것도 오늘이 마지막이네요. 그동안 우리 드라마에 보내주신 사랑에 감사하는 마음을 전하고 싶어 이렇게 글을 남김니다. 여러분의 사랑과 관심, 많은 분들의 도움으로 마지막까지 즐겁게 촬영을 마무리 할 수 있었습니다. 연기 이외에도 많은 것을 배우게 해준 드라마였기에 마지막이라는 말이 더욱 서운하게 느껴집니다. 추운 날씨에 고생하신 감독님, 작가님, 스탭분들 그 외 도움 주신 많은 분들, 동료 배우들(선배,후배님들)너무너무 수고하셨습니다. 감사합니다! How are you? This is Suh Ji Suk. Today is the last time Wang Jae Suk greets to you. I’d like to express my gratitude for your loves delivered to me during the broadcasting of this drama. In fact, in the beginning of filming this drama, I felt a little bit burdened because this is my first drama after I completed my military service. However, your loves and cares as well as the joyful filming make me complete the drama. Moreover, I have learned acting skills from the actors and actresses of this drama. My feeling is more than words could describe. Again, I’d like to thank those people who give loves to Jae Suk during the broadcasting of “OB & GYN”. the script writer, the staffs who have helped me a lot, my colleagues (senior and junior)! I, Suh Ji Suk, will come back to meet you with a new image. Jisuk and Ahn Sun Young are using shoes as phones??!! between Ahn Sun Young (who is also a radio program DJ) and Jisuk. Jisuk says that he is studying Japanese now because he is scheduled to visit Japan in April. ASY jokes with Jisuk as to who he will choose between Jang Suh Hee and Ahn Sun Young. ASY says that Jang Suh Hee, Song Joong Gi, Jisuk, and she get along well during the filming. DC OB & GYN Clinic hosts the post-filming celebration party. Jisuk and GJW give Choi Hee Ra a kiss. Dr. Wang Jae Suk who attracts and captivates so many female viewers' hearts. and to thank Song Joong Gi and Lee Young Eun's having joyful filming time with Jisuk! with the title 'Dr. Wang and Dr. Lee – What a Pair!'. At that time, I was laughing while I was watching those photos. Hye Young kisses Sang Shik before Sang Shik leaves for USA for his new job. Jae Suk is OK now. He preside the wedding ceremony of Kyung Woo and Young Mi. The TV rating of Episode 16 drops 0.6%! the couple “Jae Suk - Hye Young”, those viewers abandon this drama. but she should learn how to “Respect the majority of viewers’ opinions”. Mutual respects, mutual trusts, mutual supports, and mutual loves. 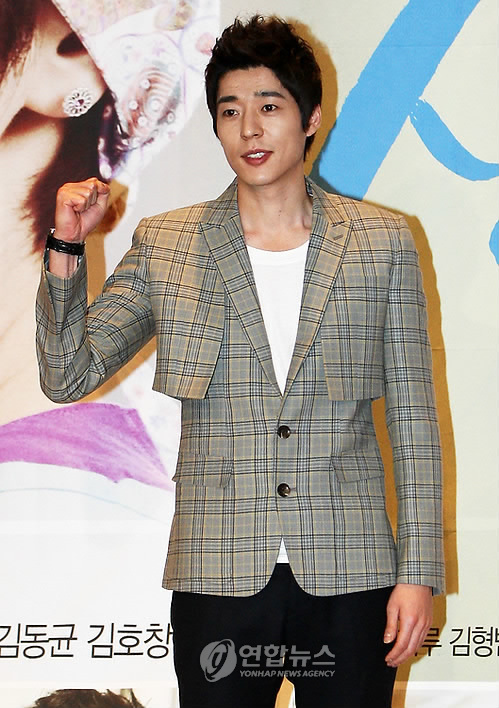 Jisuk talks about the difficulty of returning to the TV drama after 3 years. He specially thanks to Ahn Sun Young’s encouragement! So touching! Go Joo Won, Song Joong Gi, Ahn Sun Yong, and all of the guests are moved by his story. Currently, he wins the title of “Strong Heart” so far! Dr. Wang always stands by Dr. Suh - They have spiritual communication, mutual supports and trusts. WOW!! Jisuk is sooooo.... HANDSOME and COOL!! bring snacks to visit Jisuk at the filming site. Jisuk is filming for the episode which will be aired on Wednesday (3/24). The script writer is still revising the script for this episode. The script for the final episode has not released yet. Jisuk looks really tired and exhausted. The filming crew and staffs are very busy. Since Jisuk is so exhausted that he couldn't eat the snacks brought by his fans. Ha Ha ^-^ Sister Suh Hee! Let Go of My Neck!! Please go to SBS to enjoy Jisuk's popularity! What's up? Dr. Lee? Hide and Seek? praise Jisuk’s role and performance at the SBS Bulletin board. I watched “OB & GYN” in these days and I am obsessed with this drama. Especially, Mr. Suh Ji Suk is so good. Your role has a deep mind of being considerate and understanding even though having lots of fun …! Today, I watch the rerun again. I learn a lot from this drama as well as laugh and cry. I hope that I will continue to feel touched and write after I watch this drama. please continued to passionately be the major attractive person of this drama. and needs to find a father for her baby. and post it at [YouTube]. Enjoy watching Jisuk’s charming images! 특히 산부인과 출연연기자들은 쉬는 시간에는 다들 모여서 이야기 나누기에 바쁘다. 이에 장서희는 “출연진들이 나이차이가 나기도 하지만 팀분위기는 최고인데, 안선영과 서지석이 분위기 메이커를 해준 덕분”이라며 동료연기자들을 칭찬하기도 했다. Jisuk has always been well liked by his colleagues. Actress Huang Yin Young (황인영) plays a pianist in Episode 9.
but doesn’t know that she is going to die soon. She has a concert in front of patients. but then her cancer cells spread to her ovary are found.